That was almost 4 years ago, on my 30th birthday. I’m going to be 34 in a little less than a month. Ugh. 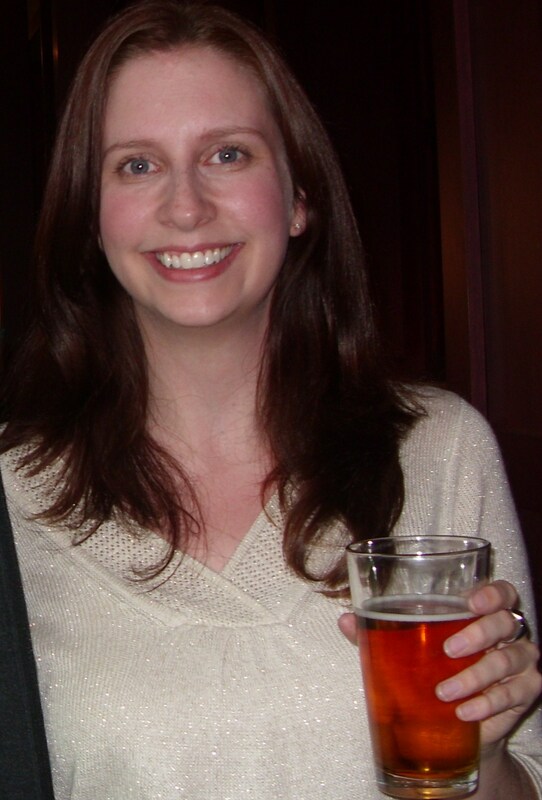 Anyway, the birthday was awesome, the beer was raspberry wheat and it was… tolerable. Most times, when my boyfriend insists that I try a sip of whatever beer he is drinking I end up having to gargle with a chocolate cupcake just to get the taste out of my mouth. This beer didn’t make me run for the nearest bakery, but I didn’t ENJOY drinking it. So, to create an awesome tasting recipe with a seasonal beer sounded like a daunting task. However, I think I got lucky when I stumbled upon Shock Top Honeycrisp Apple Wheat beer in the liquor store. It still tastes like beer, but it also tastes a lot like apple. I might actually slightly like it. Maybe. It still does taste like beer, after all. Many thanks to my coworkers for being my guinea pigs, although in this case I get the feeling I was the one doing them a favor. Everyone was raving about these bars. These bars were inspired by a recipe that I had pinned from The Domestic Rebel for Samoa Magic Bars. I have yet to try the original recipe but Hayley’s stuff is always awesome, and how can anything soaked in sweetened condensed milk be bad? There are quite a few magic bar recipes out there any everyone seems to go nuts over them, so I took the basic concept and ran with it. 3. While the dough is baking, mix the 2 tablespoons of beer and the can of sweetened condensed milk together in a small bowl. If you haven’t done so already, now is also the time to chop your Milky Way bars into small chunks. 4. Remove the pan from the oven and pour about 3/4 of the sweetened condensed milk/beer mixture on top of the cake. 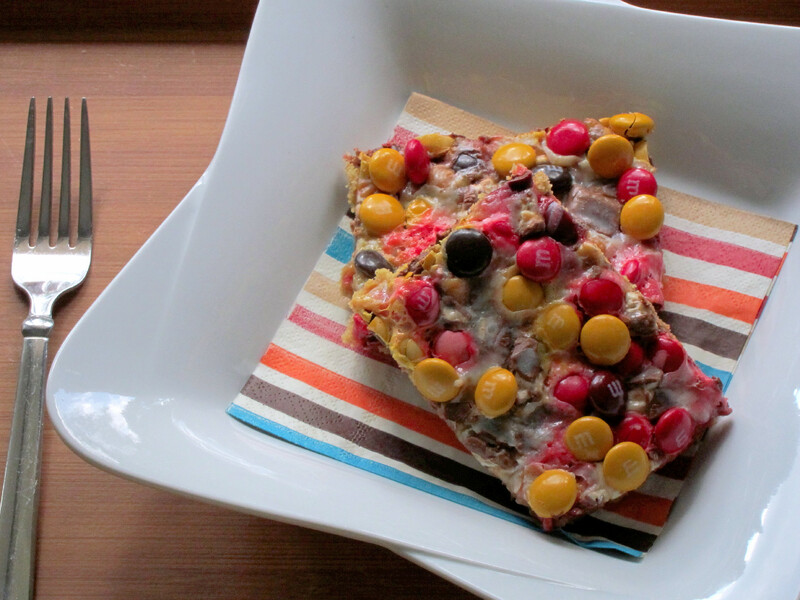 Next, evenly cover the cake with the caramel bits, chopped Milky Way bars and 1 cup of the M&M’s. Drizzle the remaining sweetened condensed milk on top. 5. Return to the oven and bake for approximately 15-20 minutes. I’m not sure you can tell that it’s done just by looking at it since it’s covered in melted candy. I took mine out at 15 minutes and it was done. You can leave it in a bit longer if you like, just keep an eye on the condensed milk to make sure it doesn’t start to brown too much. 6. Remove from the oven. 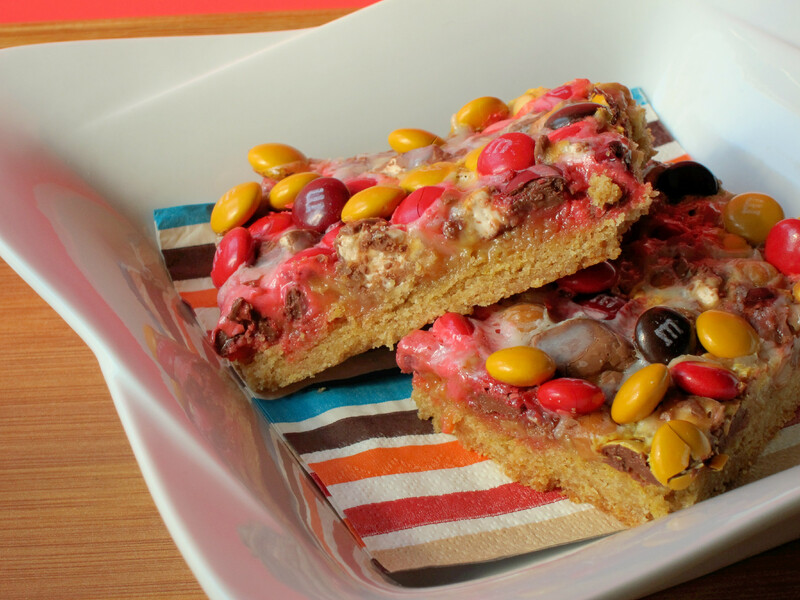 Let cool for about five minutes and then sprinkle the remaining 1/2 cup of M&M’s on top. Allow the bars to set at room temperature until cool before cutting into bars. I stored mine overnight in a covered container in the refrigerator before taking them in to work the next day, but according to the original recipe these will keep at room temperature in an airtight container for several days. They won’t last that long though, so you don’t need to worry about it! I love this idea. Great post! Thanks Lisa! I was happy to find it, since I have tried a few pumpkin beers before and haven’t really liked them! I love the fall colored M&M’s that you used. 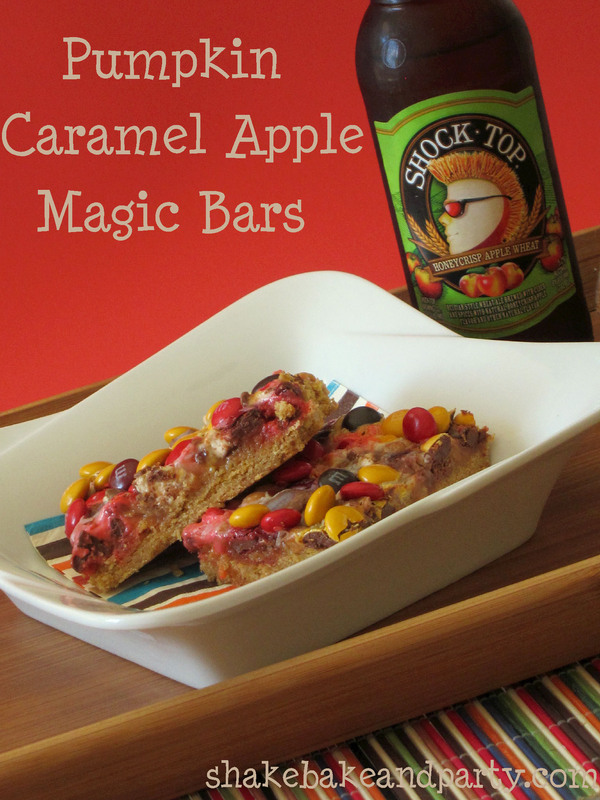 The apple Ale was an excellent choice for these Magic Bars. Thank you! It’s funny, I made this the first time with chocolate chips and it just looked so BLAH. I decided to make it again with the M&M’s and they made all the difference! 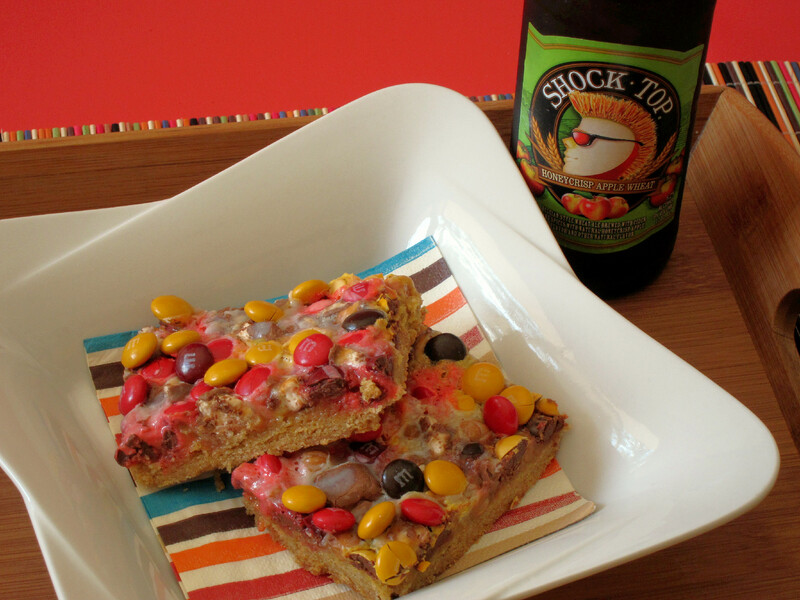 I’ve never made Magic Bars, but I’d never have thought to try them with beer! What a great idea! You’re going to be tough to beat! Thanks Ang! I had never made magic bars before either but I will definitely be making them again! Your granola bars sound great! Followed you on Pinterest as well! Good luck! Beer bars!!!! Delicious! You are right about Hayley– she is kind of a dessert genius. M & M’s and swetened condensed milk improve all things. These are awesome! Thank you Julie! And thanks for hosting! These challenges are so much fun! 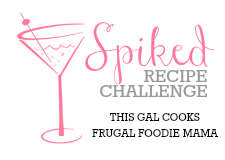 can you make a “family friendly” version, of this recipe? (Omit the beer) also: where could I find those “harvest blend” M&M’s? Hi Mary! You can definitely omit the beer! I have seen the m&m’s at CVS, Walgreens and Target. 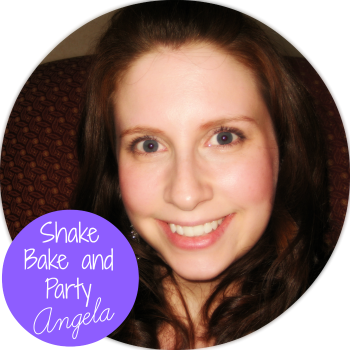 You may be able to find them at other drugstores, grocery stores or Walmart. : ) They would be with the Halloween candy. They look lovely and suppose they taste great, as well. Thanks Natasha!! I checked it out and they do have a clickable link at the bottom that says “source” and links back to my page. Do you know if that is legally all they have to do? I haven’t really ever run into this before!